You are here: Home › The Learning Curve › What do you WANT? Many dancers approach us seeking advice, from all corners of the WCS scene: students, event directors, teachers, competitors, non-dancing spectators, social dancers. Our responses vary, depending not only on who’s asking, but on what their purpose is. A common mistake dancers make is following advice intended for someone with different needs/goals/reasons for dancing WCS. Before discovering WCS, you had a set of personality traits and life experiences that led you to it. Do you remember what your original reasons for taking up WCS were? Many people cite social goals such as “meeting new people” or skill goals such as “feeling competent social dancing”. Others cite needs that needed fulfilling, such as “feeling included”, or artistic self-expression”. Right now, check in with yourself: what goals or needs do you have NOW? They are likely different from when you started. Either way, if you have goals and/or needs that are not being satisfied, it’s time for an audit. Time to reassess and make some course-corrections if necessary. Let’s look at all the most common reasons people have for dancing WCS. 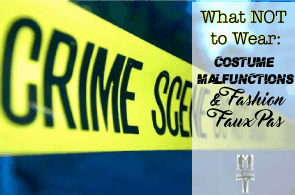 Read and consider all of them – you may discover some less obvious ones that you can relate to. All of these reasons are valid: I’m not going to convince you to change them: But your (honest) reasons should dictate the path you choose and the decisions you make. Said another way, the advice you follow depends on what you really want from West Coast Swing. It’s nice to be wanted. It’s boring to sit on the sidelines. Everyone needs to accept their responsibility for asking other people to dance and not just pouting and waiting to be asked. But, if you are doing your share of asking and no one ever asks you, there might be a reason. Take a private lesson to get some honest feedback on your dancing – you might be doing something that is offending or deterring partners. The instructor can help guide you to more desirable dance methods and social behaviour. Dancing is a great confidence-booster. It is often linked to other needs, such as competence or acceptance. 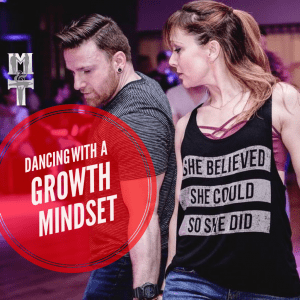 Your confidence will improve the more you tackle and succeed at miniature “wins”, such as not needing to count your steps anymore, or finally unlocking that move/trick you have been trying to master, or having a Pro ask you to dance. Be sure to acknowledge and accumulate the little wins. Being new in town or having an isolating job are examples of reasons you might need to develop a social network. Be sure to tune in to all of the WCS activities available, both local and global, live and online. Don’t just stick to your group classes and your studio’s Facebook group. Explore outside and discover different events and resources: diversify! 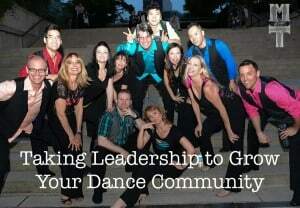 Think beyond the dance floor: take advantage of social outings and quality time with dancers outside of the studio to enrich the quality of your network relationships. Keeping in mind the harsh reality that high school politics exist throughout our lives, there are some things you can do to ensure you are accepted or included. Showing up is half the battle – you have to be present in people’s minds for them to invite you to things. Engaging in meaningful conversation and asking questions shows that you are interested, and people love to feel interesting. Humility and respect goes a long way – if you are accepting and inclusive, you will gain and retain more fans. It’s inevitable: dance changes people: almost always for the better. This is your chance to evolve and upgrade! If attractiveness/dating is a goal for you, look around. Study the dancers you admire and what they all have in common: how they dress, dance, treat each other, talk to others, make jokes, wear their hair/makeup. I’m not saying you need to be a carbon copy, just use others for inspiration. Put a little more conscious effort into your appearance and manners and intentionally seek out learning opportunities. You might admit to yourself that you like to be admired: crowds cheering, likes on Facebook, compliments in person and comments on YouTube, etc. But be honest: if you didn’t get any of these things, would you suffer? Would you still want to dance? Deep down you might actually *need* admiration. I’m not judging, but this could be a slippery slope, so it’s important to stay balanced. Be sure you are deriving enjoyment from your other needs/goals too so that you don’t rely too much on what other people think. 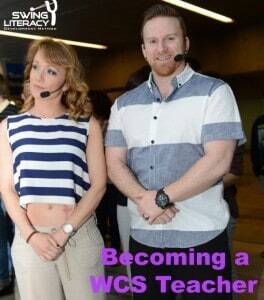 Once you get really embedded in WCS, you can’t imagine your life without it! It’s comforting and invigorating to have a hobby you are passionate about. Think: Who are you in WCS? To deepen your engagement and serve the dance that has brought you so much joy, consider getting involved in leadership activities, such as volunteering, hosting, DJing, or even teaching. However, be sure to keep some balance in your life: imagine if WCS was suddenly extracted from your life: what would you have left? Who are you outside of dance? Be sure to maintain your non-dance priorities. It might not be enough for you to feel competent at something – you feel the need to conquer it. Mastery is an admirable pursuit in any field, and the prescription is the same: coaching and practice. Practice is useless without feedback. Masters provide feedback. Feedback is useless without practice. If your goal is mastery, you need to find all the coaching you can afford. Shop around, find a sensei you respect and who respects you. Be particular: just because someone is a good dancer, doesn’t make them a good coach. Diversify: train under multiple coaches to hear a variety of perspectives and approaches, and cross-train in other dance styles to gain mastery over your body. If you are bored in group classes, and bored with your dancing, it might mean that you need to be challenged. It might seem like the answer is to “move up” a class level, but that’s not an appropriate solution. Your skills are separate from your boredom. You don’t need harder skills you aren’t ready for – you need to find a more entertaining way to work on your existing skills. If you are bored with your dancing, stop dancing boringly! 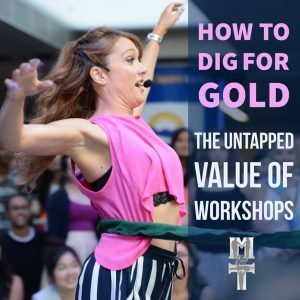 Take a private lesson to get a custom-tailored plan on how to improve your skills and find ways to challenge yourself in your classes, social dancing, and competitions. out how you can discover your personal groove and insert your own personality into the dance. Do some homework first – study dancers better than you and identify which ones you admire and why, your teacher can understand what inspires you. This might also be the point where you decide you would like to try choreography. Consider joining a team, doing a Pro-Am, or even a Rising Star routine. This dance is supposed to FEEL good. Reeaallly good. If it doesn’t, don’t give up, keep searching. And it shouldn’t be hard. Try different instruction sources: workshops, intensives, instructional videos, private lessons. Take a practice partner with you so you can get feedback on your efforts. If you have a small community, your priority might be on growth and exposure. 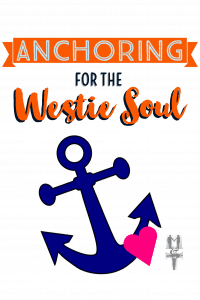 Even if your role in your community is a volunteer, take some tips from business marketing, and start treating your Westie community as a product to be marketed. Westie Bombs, business cards, flyers, viral videos, cross-branding, bring-a-beginner nights, crossover events, branded clothing, community shows…the list goes on. Wish your community had more than one social dance per week? Take the initiative and create more! You don’t have to do it alone: gather some friends and rent some space. You could start a non-profit if you wanted to, but it’s not necessary. You could offer lessons from a real teacher, but lessons aren’t necessary. Also consider organizing field trips to nearby communities – make a day trip carpool for a weekend dance or workshop. Hey there’s no shame in needing income. There are several aspects of WCS that can make you money, but none of them will make you wealthy. Whatever avenue you choose, do your homework first. Study the business, learn the skills, take the training, accept the advice, respect the art. Be transparent about your goal: don’t profess to be altruistically serving the dancers if your real goal is to turn a profit. People will see through it and distrust you. Some people enjoy helping others to the point that they crave it. If you are in a position to help, why not, right? No problem, as long as you know your help will be appreciated. Unsolicited advice on the dance floor: not appreciated. Offering your expertise to a young instructor by helping them write a business plan over coffee: appreciated. The easiest way to satisfy this need? Volunteer at events and socials. Teaching does provide this sense of helping people, but it requires a ton of training first in order to be effective and accountable – not a job you should volunteer for just to satisfy your need. You’ve gotten so much joy from WCS, you just want others to feel the same. In order to be effective in your mission, it is essential to consider the perspective of your audience. Figuratively rushing in and getting up in their face about how they should try this dance is only going to intimidate – they’re either going to think that WCS is only for crazed fanatics or that the dance has turned you into one. Monitor your enthusiasm, and tailor it to the particular audience you are targeting. On another note, if you are interested in taking community or global initiatives, great; but do your research and make sure your idea does exist already and either infringe on or compete with someone else who’s already done it. Also consider the big picture: your initiative might serve the needs of a small group, but will it be counterproductive in the progress of the larger community? These are questions you need to ask for help on. The first thing I ask students when they admit this is, “why?” Are you just wanting to compete because your friends are? Do you think you’re less worthy of a dancer if you don’t? 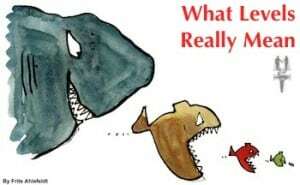 Do you need the external validation? Why do you need people to see you succeed? No judgement – just prompting you to be honest with yourself so you can make accurate decisions. 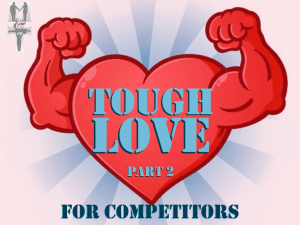 Attaching your self-worth to your competition success is very dangerous. 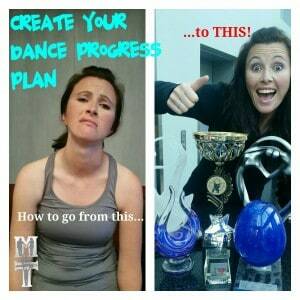 expect improvement or competitive advancement if you do nothing to work on your dance between competitions. If you want to improve, if you want to advance, you have to put in the work: this means investing in private lessons, getting your a$$ into workshops, and submitting to an intensive. No, self-practice is not enough. Step up, show up, level up. Trophies are symbols of achievement. They are physical representations of a memory of glory. In 30 years, will you remember the trophy, the moment you were awarded the trophy, or the dance that earned it? Which do you think history will remember? Thanks to YouTube, dance records are now more valued than trophies. A memorable 4th place dance often earns as many if not more hits than the generic winning dance in that contest. If you focus on having an amazing dance with your partner in the moment, your personal satisfaction will be more rewarding than a trophy for an empty dance. Up-and-coming professionals trying to build their career often have this as a priority, and so they should. But the activities that build fame and status are often misunderstood. Fame and status are earned and given, not taken. You can earn it positively or negatively depending on your behaviour, so for every competitive success be sure to regulate your sportsmanship, humility, respect, gratitude, reinvestment in learning, and community contribution. There is no system currently set up to recognize achievement of skills; the only system of recognition in WCS is competition points. Out in the big wide world, you have to admit that points mean nothing. You can’t list your points on a resume. Points are also really arbitrary. Super dangerous to measure your self-worth on the opinion of 7 questionably-trained judges all prioritizing different things! But if it’s recognition of improvement you are looking for, you don’t need competitions to do that. Your instructor, fellow social dancers/competitors, and personal video records provide proof of improvement. Weigh these more heavily than your competition results. If one of your goals is to increase your dating pool, if you start sleeping around with many dancers, you could be damaging your local reputation, depleting your dating pool rather than increasing it. This dance can be addictive, but consider the costs. If you are struggling to pay your rent, you really should be reconsidering those flights and hotels and event passes. West Coast Swing will still be here when your bank account recovers. Just because all your friends are competing in Jack&Jills, doesn’t mean you have to. If you’ve tried to get into it and it really doesn’t inspire you and doesn’t fill your bucket, don’t force yourself to do something that will lead to resentment. Of course, the tips in this article just scratch the surface of the ocean of coaching that is available to you. For more information, and custom-tailored advice for your situation, seek out private lessons. Great article! Love you two!